Can you imagine if your pet was lost or worse, stolen? 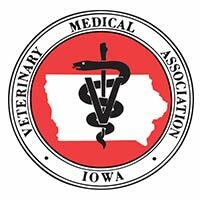 Iowa Veterinary Wellness Center offers a microchip service for your pet. Most veterinary practices and animal shelters routinely screen for the presence of microchips in lost or found pets. The microchips we use are roughly the size of a grain of rice and are inserted under the skin in between the shoulder blades. A microchip scanner can then recognize its presence after implantation. 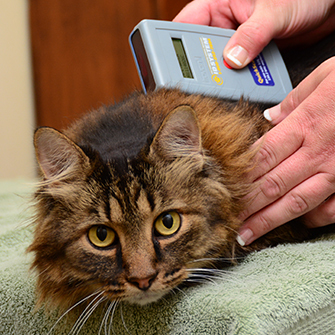 You will need to register your pet’s new microchip with the manufacturer. Registration involves the sharing of contact and emergency contact information so that information is in the database should you ever experience the unfortunate circumstance of a missing pet. A microchip is the single most important tool that we have access to that will help deliver your pet safely back into your arms. Please call us with any questions about our microchip services, or to learn about what to expect during your pet’s visit.